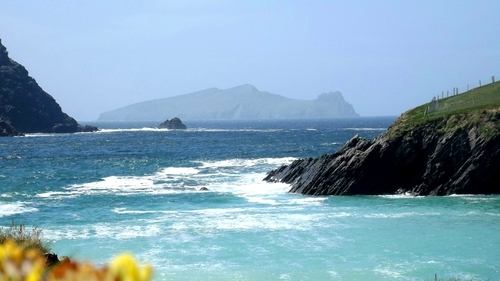 Have you ever heard of anyone not enjoy their time in West Kerry? It is quite simply, one of the world's most beautiful places. Beyond its aesthetic value, it has anam like no other. Here's where to go to get the best out of the place. Known best for Fungie, ice creams and pubs, Dingle doesn't disappoint. Beyond the town, however a little off the beaten track and deeper into the Gaeltacht, you'll discover so much more. Bain triail as do chuid Gaeilge agus tú ann, you might surprise yourself! Arrive into Dingle and get to Pantrí for breakfast, the vegan one is extra special. Grab a coffee from the best coffee house in town, Bean in Dingle and head west. For the most beautiful view of An Fear Marbh (The Dead Man) stop at Clogher Beach and listen to the waves crash around you. Nearby Potadóireacht na Caolóige is the HQ of renowned potter Louis Mulcahy. Whether you're there to watch the master at work in the workshop or do some shopping, be sure to stop in the café upstairs- the lemon cake is divine. For some local ancient history, visit the oratory at Gallarus. Thought to have been built around the 11th or 12th century entirely from stone, climbing inside is a real treat. Head back to Dingle for dinner, from casual to fine dining, there is no shortage of high quality eateries. Some of my favourites are Ashe's (for excellent pub grub), The Half-Door or Out of the Blue for fresh local seafood. Finish off your night in Curran's pub where you're more likely to meet locals rather than hordes of tourists. Ask James Curran (the proprietor) for a song and you won't be disappointed. This is going to be a busy one so best get well fueled up. Pop into My Boy Blue for pancakes and coffee before we get going. Dingle is a hub of cultural creativity, visit the Harry Clarke windows in An Díseart, Institute of Irish Spirituality and Culture, St. James Church, where Other Voices is filmed and An Caifé Liteartha for local and international literature over a cuppa. Get your walking boots on and go for a cliff walk and see the ruins of the school where Ryan's Daughter was filmed. Or if you're feeling really active, a walk up Cnoc Bhréanainn will most certainly blow the cobwebs away. If you've got kiddies with you (or if it's raining) an afternoon in the Aquarium is fascinating place to visit. Heading west again, a walk on Coumenole will work up enough of an appetite for homemade brown bread par excellence with the most stunning views in Tig Áine. On the way back to town, call in for a tour of The Dingle Distillery and try their wares. If you're after an evening of fine dining, try the award-winning Global Village or pop into Reel Dingle Fish Co for the freshest fish and chips. For the best in craic agus ceol, Neligan's is where it's at. Ask Mícheál, the barman to show you a step before you leave. Leave with a heavy heart but a nourished soul- ní fhéadfá an áit a shárú. *This information has been gathered over years of experience- all of which has been paid for by the journalist.